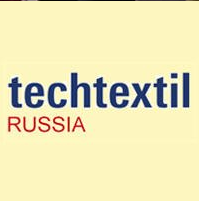 Techtextil Russia is a leading international exhibiton for technical textiles and nonwovens. It assembles all vertical aspects of the technical textile industry. From research and development, through raw materials and production processes and finally ending in conversion, further treatment and recycling. Also a lot of applications of technical textiles and nonwovens in research, industry, architecture and many other areas are presented. Held in conjunction with the exhibit hall, is Techtextil Russia Symposium which will offer dozens of sessions focusing on the latest in research and emerging technology. On the whole the organisers welcomed on the 3 days of the fair, from 20. February to 22. February 2017, about 67 exhibitors from 10 countries on the Techtextil Russia in Moscow. The Techtextil Russia will take place on 4 days from Tuesday, 19. March to Friday, 22. March 2019 in Moscow.